Returns are accepted within 30 days of the date of purchase, subject to 25% restocking fee. All returns must be sent in the original package, in the same condition it was received. Damaged or defective material will only be accepted when accompanied by an authorization previously issued by MaysBowling.com. Defective or damaged materials will be exchanged with the same material at no additional cost, as long as our customer service department is informed within 24 hours of delivery. All materials will be inspected to determine whether the item appears defective. 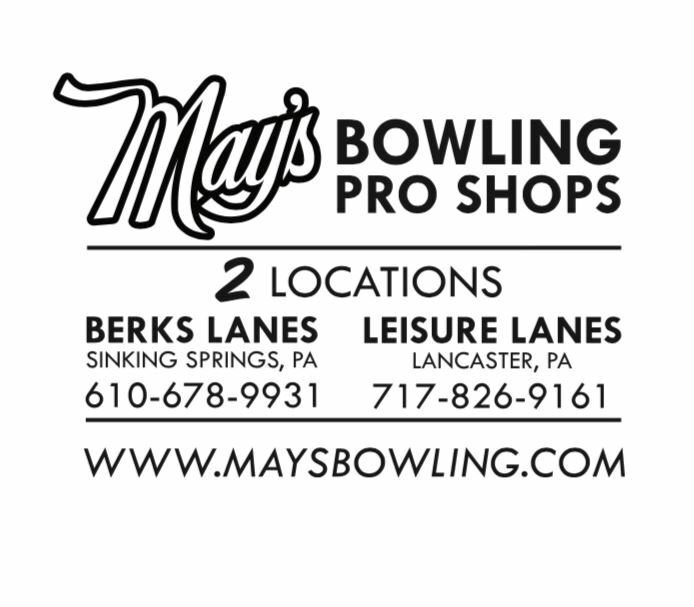 To obtain a return or exchange authorization, please contact us at 610-678-9931, or via email at rmay@maysbowling.com. The return authorization must be affixed to the package. Shipments without a return authorization will not be accepted. We apologize but sale or discontinued items can not be returned. To cancel an online order placed with MaysBowling.com, you must contact customer service within 24 hours. Every effort will be made to accommodate the cancellation of your order, as long as it has not shipped yet. When contacting customer service to cancel an order, please be ready to provide your name, the order number, and your contact information. In case your order has not shipped, you will receive a full refund. Please note that, if the item has shipped, the order cannot be cancelled. In this case you can request to return the item for a refund (minus shipping costs and 25% restocking fee).